Home / Why Aluminium Windows and Doors? Mention aluminium windows and many people think of the first generation of double glazing replacement windows that were installed in the 1970s. In much the same way that personal computers have moved on, so too the technology and design of aluminium windows and doors is barely recognisable from its 45-year-old ancestor. 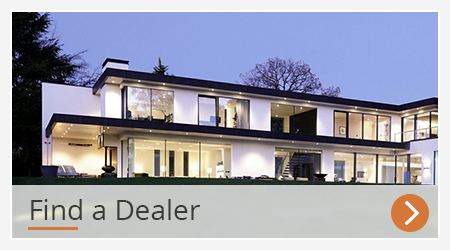 Today’s aluminium windows and doors from Reynaers at Home are at the pinnacle of architectural glazing solutions. The inherent strength of aluminium allows the frame to be much narrower than the uPVC or timber alternatives, which also means we can offer significantly larger glass areas at industry leading heights. Aluminium is a very stable material, keeping expansion and contraction with changes in the ambient temperature to a minimum. Where uPVC expands 3mm per metre, aluminium expands no more than 1mm per metre. This makes aluminium the only sensible choice of material for bi-fold doors, patio doors and large panoramic windows, where the opening may be several metres across. Notably, aluminium is an abundant material that is 100% recyclable with no loss of quality. Therefore, not only can your windows and doors be made from recycled material, but you can rest assured that after many years of service with minimal maintenance, your aluminium frames can once again be fully recycled. Aesthetically, aluminium is an excellent choice. There are no unsightly welded joints that you get with uPVC, and unlike timber, aluminium will never rot and there is no need to repaint the frames year after year. You can have a choice of literally hundreds of colours and finishes, and the option to have a different colour inside and out. Combine all of these advantages with excellent performance in terms of security, thermal insulation, sound insulation and weatherproofing, and it’s hard to see why anyone would choose any other material but aluminium for their windows and doors. 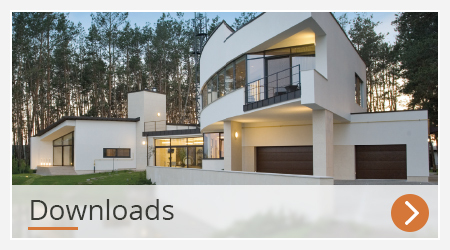 Explore our website to find out more about Reynaers at Home and our range of premium quality aluminium windows and doors.